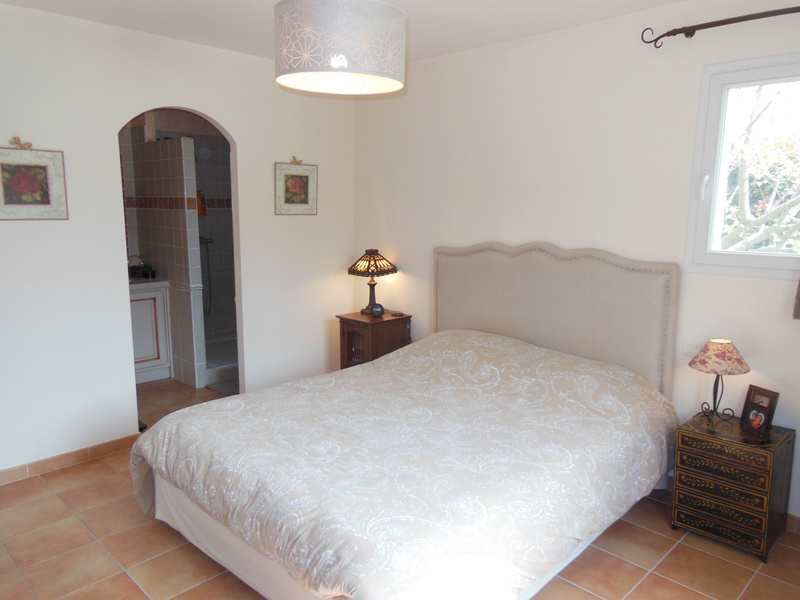 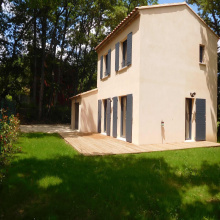 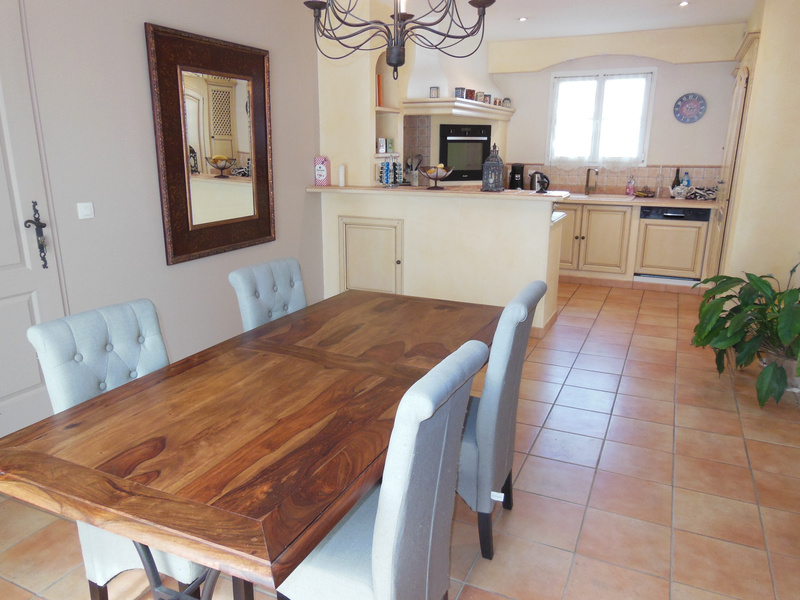 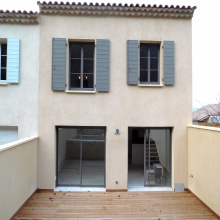 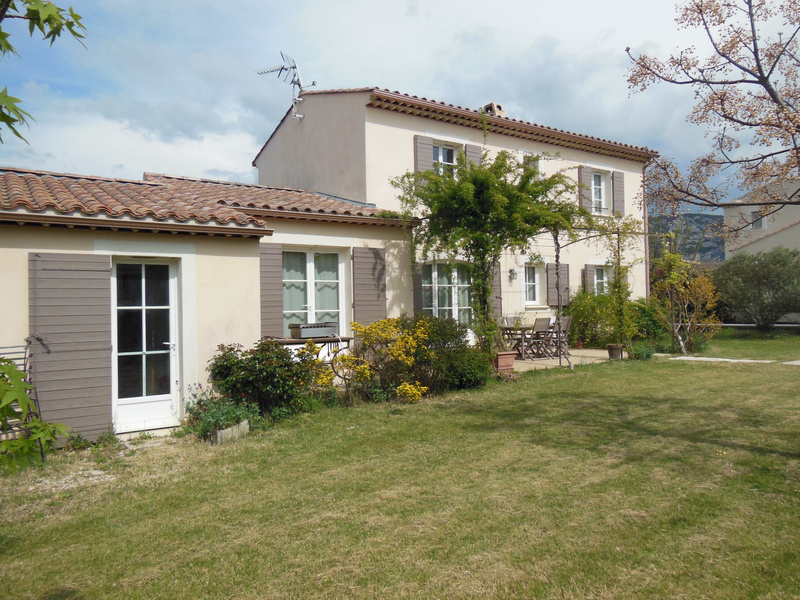 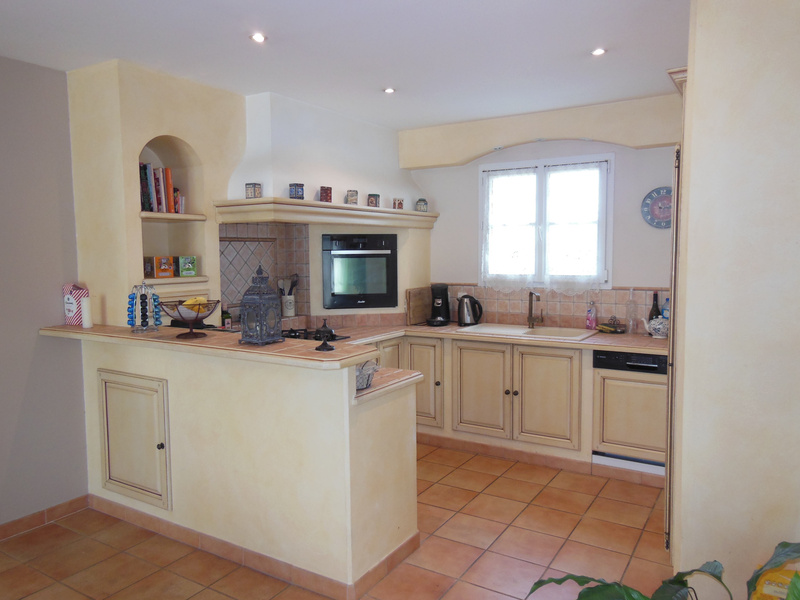 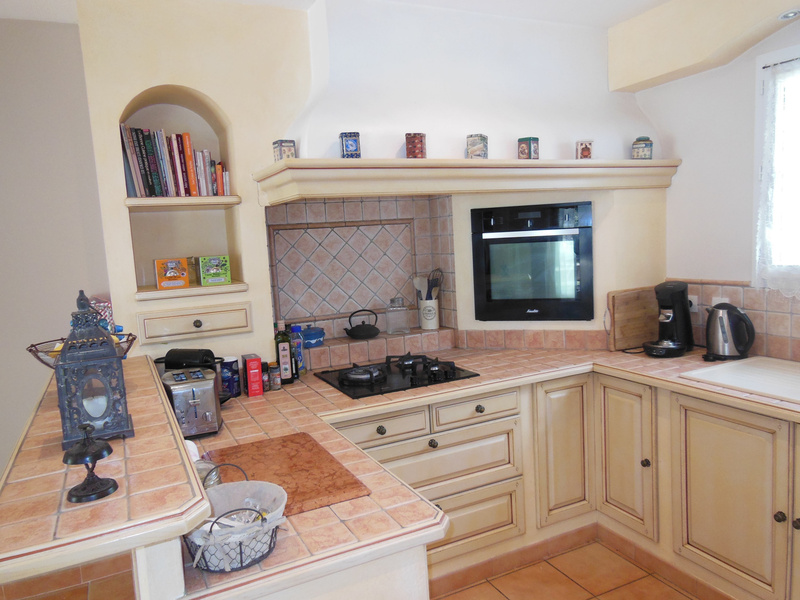 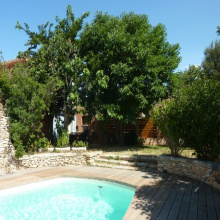 For Sale - Les Taillades - The Real Estate Agency Joys of Provence offers a beautiful new house with 6 rooms. 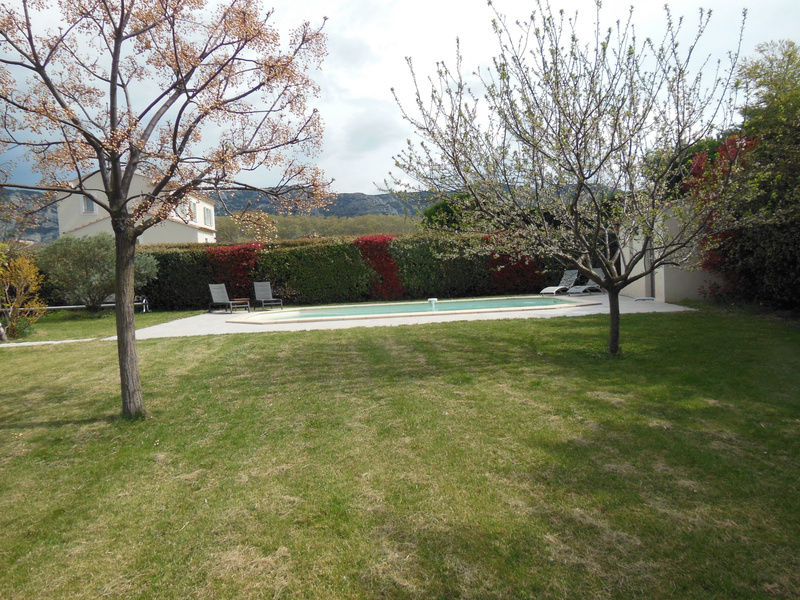 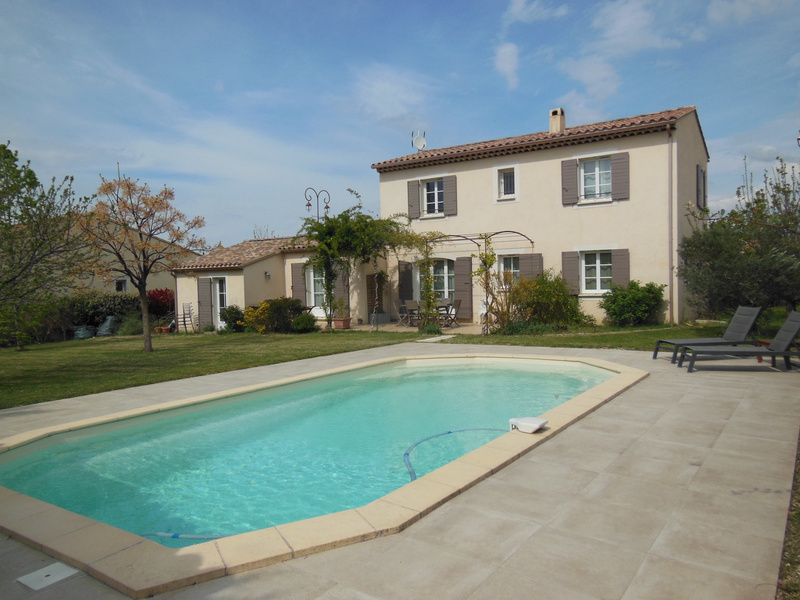 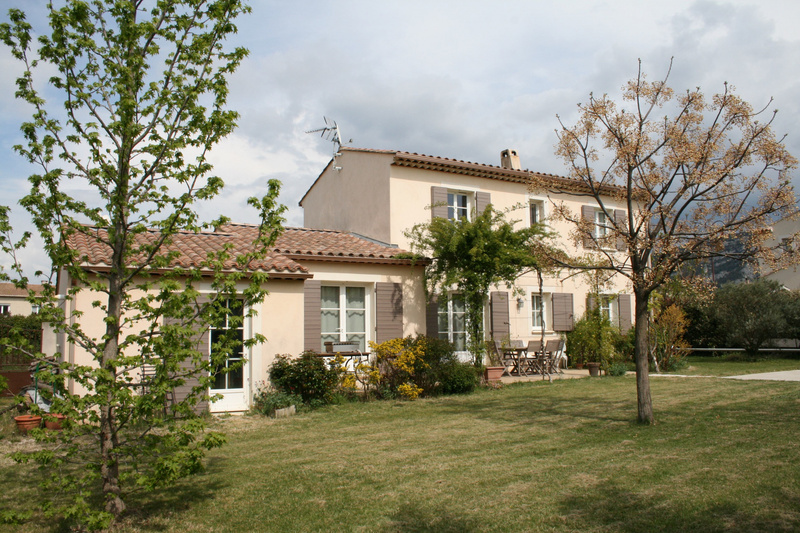 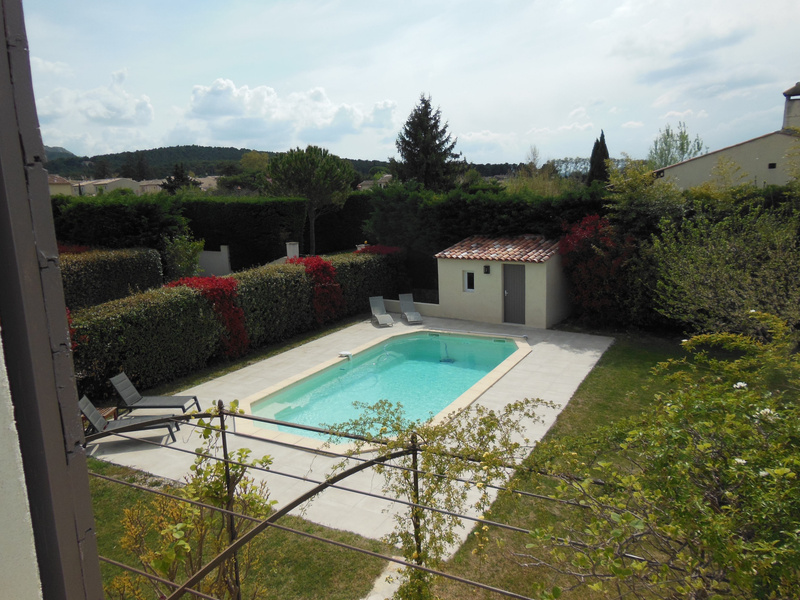 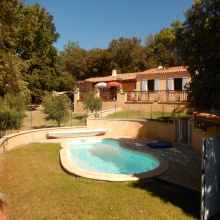 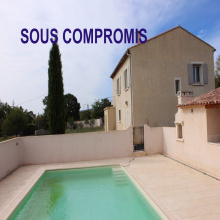 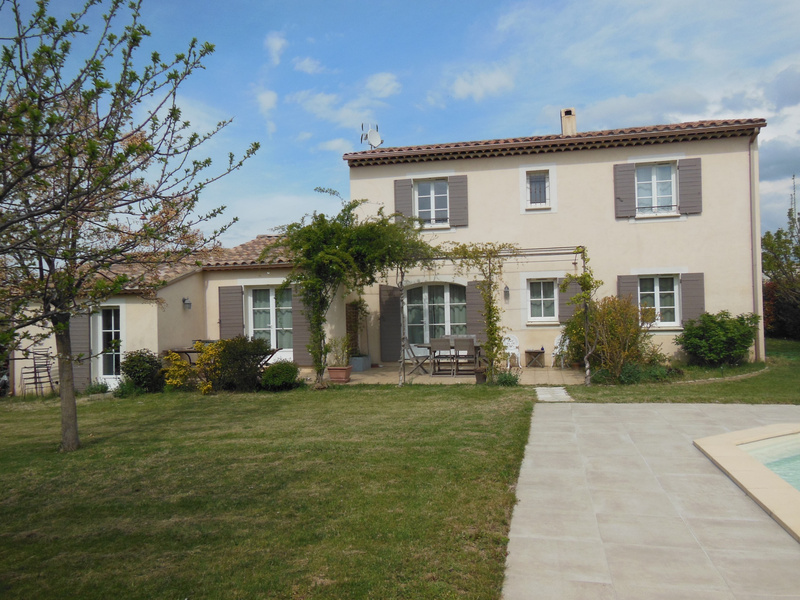 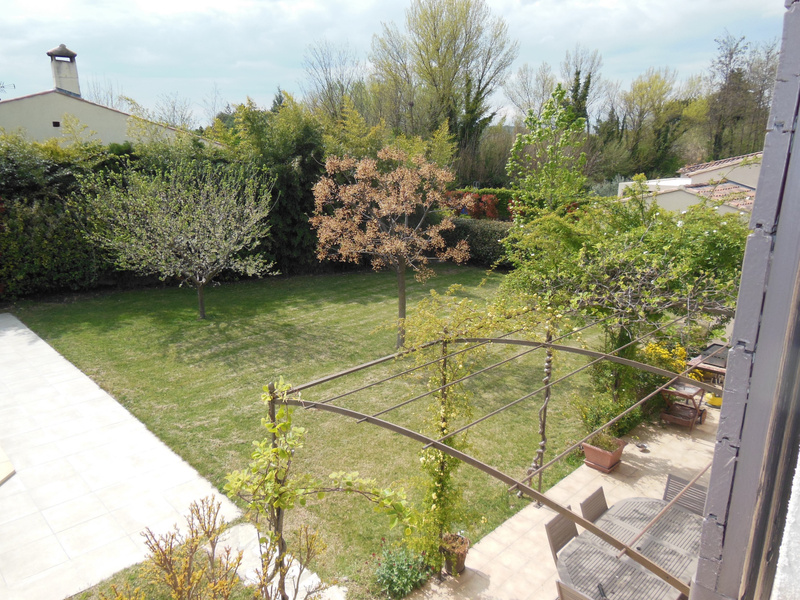 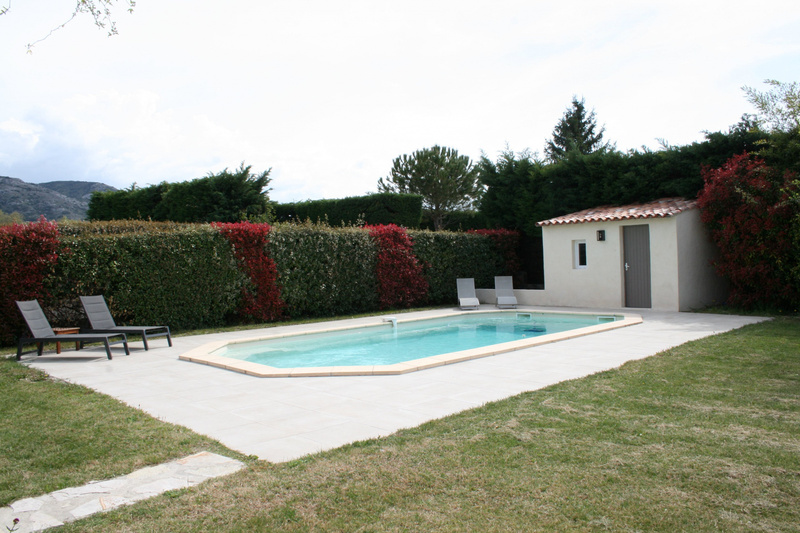 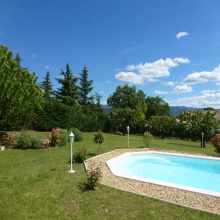 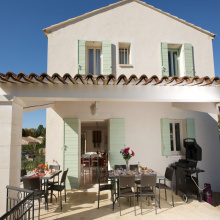 Beautiful enclosed garden, swimming pool, semi-covered terrace, garage, view of the Luberon, very quiet area. 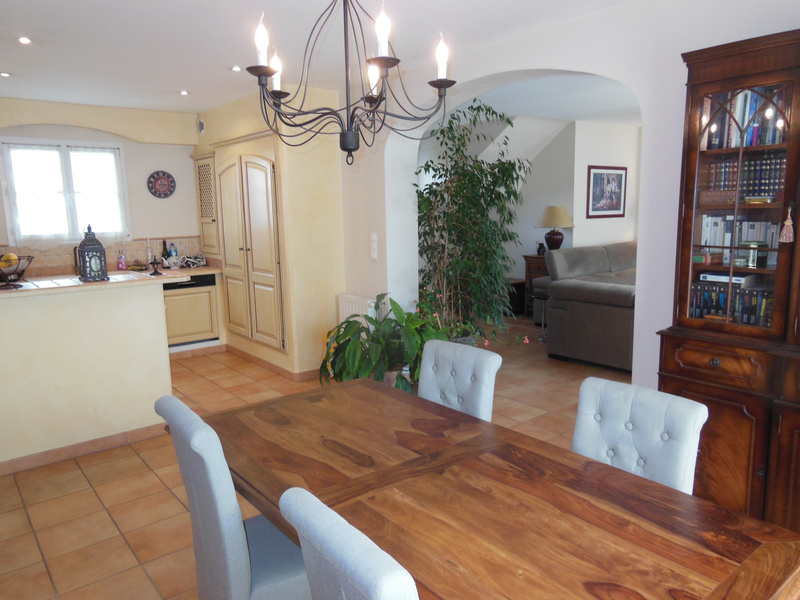 Living room with fireplace opening onto the dining room and the fully fitted kitchen, pantry/laundry room, 4 bedrooms including a suite with shower. 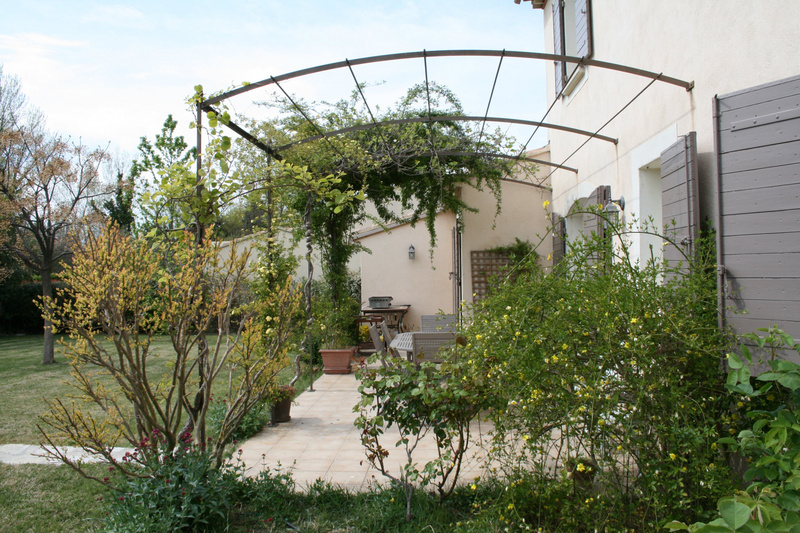 Charming setting.